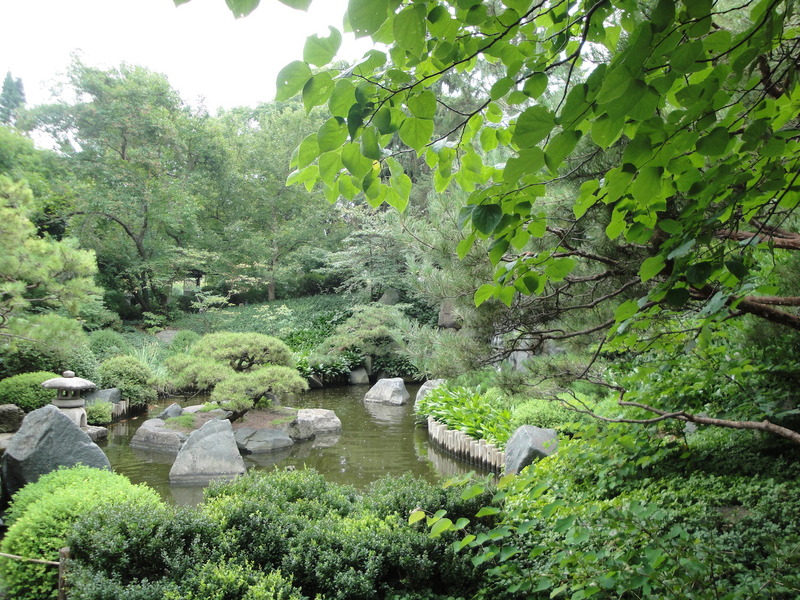 Whether visiting a stunning garden, such as the Japanese Garden at the Minnesota Landscape Arboretum, or enjoying a few quiet moments in your backyard, gardens improve our physical and emotional health. 1. It’s good for your health. The health benefits of gardening have been well-documented. Being outside increases your exposure to Vitamin D and the weight-bearing exercise of gardening is good for bones and the heart. One study even found that gardening decreases your risk of dementia! 2) You never have to stop! Gardeners can continue to grow plants and enjoy the hobby even as they get older. Some modifications may need to be made by raising beds to an easier height or going from a huge vegetable garden to a few containers, but the garden is endlessly adaptable. 3) It boosts your mood. I don’t know about you, but I always feel a little bit more cheery after a round of weeding or a half-hour or more spent planting or harvesting. It turns out it’s in the dirt. One study found that exposure to a bacteria common in soil increases levels of serotonin, the chemical that increases feelings of well-being. 4) Gardens matter for the planet. As more wild areas are disrupted for development, gardens become important places for water to be filtered or carbon to be sequestered by trees. A recent study from the Smithsonian Institution highlighted the importance of native plants and native gardens particularly in maintaining the health of birds, bees and other insects. 5. 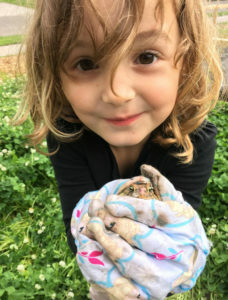 Gardens matter for kids. We know this from our Garden-in-a-Box program. When children are given a chance to grow their own food, they feel a great sense of accomplishment. They love sharing the food with others and teaching others about gardening. Also, gardening helps forge relationships between generations. How many gardeners learned at the elbow of a parent or grandparent? 6. Gardens build community. I love a front yard garden (in fact, that’s the garden I’m working on this year) and one reason is that folks stop by to chat when you have a garden. Gardens inspire conversation and they build connections between neighbors. Garden clubs are a great way to share information and connect with folks who love plants just as much as you do! 7. Community gardens! The flip side of No. 6 is that community gardens also build community and gardeners. For 30 years, Minnesota Green has been the liaison between plant growers with excess plants and community gardens in need of plants and seeds. It’s been a joy to help more than 1,000 community gardens over the years. 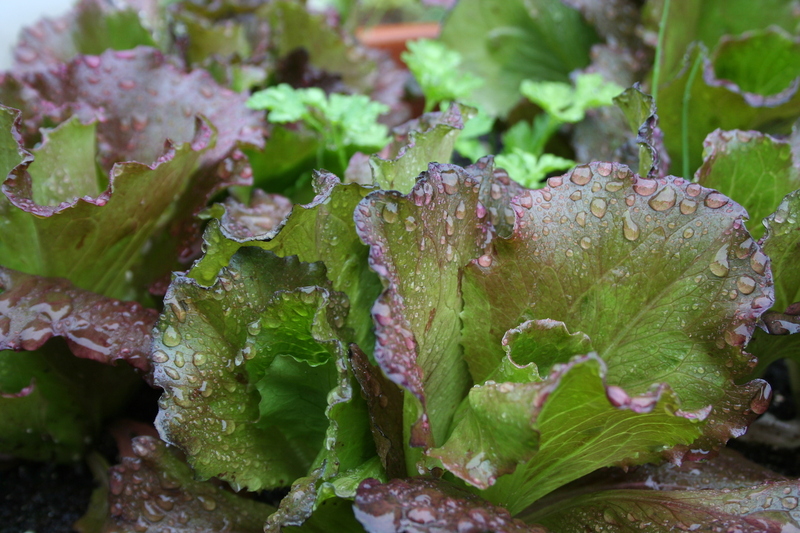 Greens are so easy to grow even in a container and so delicious! 8. The food! Food that is fresh from the garden tastes so much better than produce that has been sitting on a truck and then in the store for a couple of weeks. Which foods are the best to grow in your garden? First, which ever fruits and vegetables you like to eat! After that, I like to look at the list of the Dirty Dozen—those foods most likely to carry a heavier pesticide load—so that means that this year, I’ll be growing kale and other greens, tomatoes (always! ), potatoes, peppers and strawberries. I’ll also be growing a few things from the Clean 15 list (those with the lowest pesticide load) but that’s because I love homegrown cantaloupe! 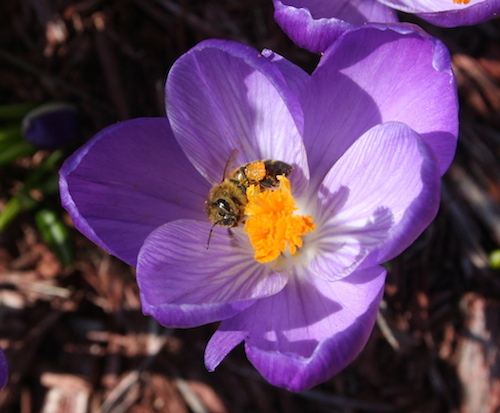 Early blooms such as native ephemerals, crocus and dandelions provide important food for pollinators. 9. Gardens matter to pollinators. Pollinators are more than just honeybees — way, way more. In fact, it’s the native bees that do most of the pollination of plants in our area. Creating a garden that helps pollinators is not difficult. The three most important things: use mostly native plants, think about the full life cycle of the pollinator, and add water and shelter as well as nectar. Here are a few more tips. 10. It connects you to nature. As humans, we need that connection for our minds, our bodies and our spirits. Gardens really do matter. Just learned of the importance of not cleaning up your left over garden refuse from the fall until temperature is over 50. Beneficial insects over wintered in these piles. Disrupting too early can harm them. Good tip! It’s hard to resist, but important to let things warm up and give the insects time to wake up from winter! Let that first blush of dandelions grow (dont mow or spray). It is one of the first plants available to pollinators in the spring!